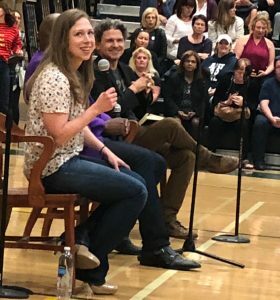 “As a minority (high school) student in a white affluent town, what can I do to help make my voice be heard?” Chelsea Clinton paused a moment and looked up directly at the young woman standing up in front of a sold out crowd of a thousand people, at an event hosted in the gymnasium of this young woman’s very own high school, “I’m sorry that you even have to ask that question.” Chelsea looked around the room adding, hopefully one of your teachers or administrators is here tonight to hear this. If not them, then parents here tonight because everyone has a right to feel like their voice is heard. “Start Now! You Can Make a Difference” author Chelsea Clinton and “What Can a Citizen Do?” author Dave Eggers, moderated by NPR’s Glynn Washington of Snap Judgement engaged us last night in a theme of how kids can get involved, make changes in the world and filled us with hope by sharing their belief in kids and the future. While my purpose of attending with my 10 year old was to inspire him to embrace his voice, I didn’t anticipate how I would feel when I left. It was a humbling experience, especially after listening to students speak from Oakland, San Francisco State and our local high school. I left questioning what can I do better to lift not only my own child up, but all kids in my local community. Yes, local community because as Chelsea Clinton and Dave Eggers echoed, local is where all change begins…and then it builds. 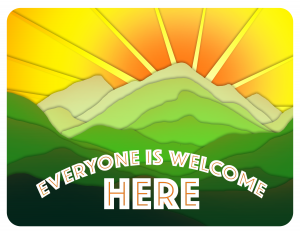 Ironically, this event comes at a time when our local school district just launched an Inclusive Sign Project Everyone is Welcome Here in the San Ramon Valley that states, “We strive for a diverse, welcoming and truly inclusive community.” As wonderful as the design is, after listening to a few minority students speak that attend the local high school I was left to wonder if by simply welcoming *all* are we are doing enough to serve the students of our schools? Perhaps, we should be giving them a platform to voice their thoughts just as Chelsea Clinton, Dave Eggers and Wynn Washington did. Everyone is heard here. Other students asked questions about how to get their voice heard, what would they tell their younger selves, what are some similarities and differences from now and when they were growing up as well as touching upon the topic of how to steer clear of fake news. Glynn Washington shared that he recently spoke at an event for 200 high school students and asked them how many of them are on Facebook. He said only 1 student raised their hand, so that’s a good sign for combating fake news. Kids are all on Snapchat and other social platforms. Dave Egger’s chimed in saying you need to make sure your source is a valid source- for example, don’t use Wikipedia. 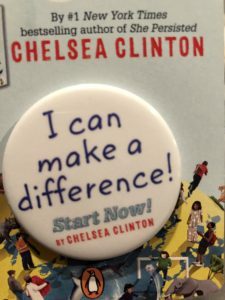 Chelsea Clinton reminded us that unfortunately things like fake news and hate travel much faster than kindness and love so we need to all play our part in helping create a better society. A key ingredient to that is digital citizenship lessons and being an Upstander (as opposed to a bystander) in regard to bullying and cyberbullying. One thing that spoke to my inner child that my 10 year old and I discussed on the walk back to the car was about writing. Dave Egger’s shared that if he could tell his younger self one thing it would be edit, revise and revise. He shared that there is nothing more saddening than when he hears a 9 year old say that they are bad at writing. “No one is born a good writer; it’s a process.” Chelsea Clinton added that just the process of writing, even if at first you aren’t sure about what you are writing about, it will help you figure that out. While kids can’t vote, how we vote certainly impacts them. 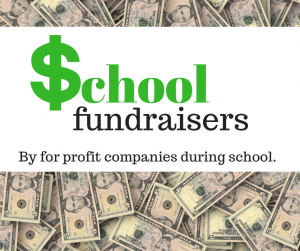 Not just at the national elections, but the local school board elections, city council, assembly members and propositions to keep them safe or filter funds to their schools. These are important, visible and influential people in our community that will either simply welcome them verses hear them. Before I tucked my 10 year old in at night, he looked up and smiled at me. “I bet her Mommy and Daddy are proud of her.” We are all proud of her. 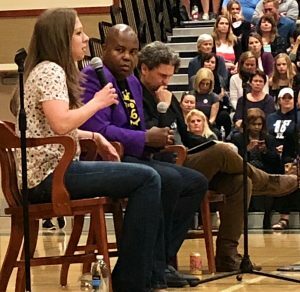 Thank you to our local bookstore Rakestraw for organizing this event, as well as Chelsea Clinton, Dave Eggers and Glynn Washington for spending an evening opening our minds to possibilities. 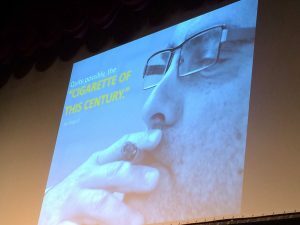 “Want to know the cigarette of this generation? Odds are you’re already holding it in your hand.” Only months after moving to the Bay Area from the Midwest I attended a conference that made a lasting impression on me. I remembering shifting in my seat a bit, looking down at my smart phone and slipping into my purse. That was 3 years ago. It seemed like a long time before I would even have to think about my own children wanting a cell phone of their own. I remember how much my husband had to convince me to switch from my Blackberry to an iPhone. “Let technology work for you, not the other way around.” Smart advice from a guy who’s career is just that; Technology. I also remember the first time I bought a cell phone; I was in my mid 20’s. There were no unlimited plans, let alone data plans. The girl who, from the age of 19 years old, drove a 1965 fastback, tossed caution to the wind as she crossed state lines with only a full tank of gas and twenty bucks in her pocket for day trips to Michigan suddenly felt like cell phone ownership was a responsible thing to do as “an adult.” You know, for safety in case my car broke down, I was in an accident or was lost. Mommy when am I going to get a smartphone? Me: (insert laughter here)…Why do you want a smartphone? My then 4th grader: Other kids have one and it would be fun to play games. Me: When you do get a phone…a very long time from now…it will be just like my first phone I bought on my own in my early 20’s. You will be able to make phone calls with it and receive phone calls. My then 2nd grader bellowed from the backseat: Well WHY would anyone want a phone for THAT? It is pretty to clear to see that my understanding of what a cell phone is used for is vastly different from what my elementary aged children perceive it to be. A New York Times article, When to Buy Your Kids a Phone, by Stephanie Olsen states that parents typically buy cell phones for their kids safety. However, “most parents want to give a cellphone to keep them safe, but ignore what the great majority of uses that kids are using cell phones for” (Wired Safety, 2016) –Like addictive behavior, cyberbullying, sexting, cheating in class and for older teenagers distracted driving. Smartphones are popping up in the hands of children earlier and earlier on school campuses. What promoted the discussion of my elementary aged kids with me in the car was that they saw kids at school with cell phones. Like parents, “most schools allow students to have cell phones for safety– a reaction to the Littleton, Colorado High School shooting incident of 1999.” (Earl, 2012). My concern surrounds the idea of children being allowed to use their smartphones while school is in session, the behaviors that enables in the elementary and middle school years along with the risk it brings for safety. Benjamin Herold discusses just that in his article in which he highlights thoughts that principals have in regard to the worries about children’s safety in addition to “potential landmines for school leaders themselves.” (Harold, 2017) As a BBC investigation found, there is good cause to be concerned over the safety of our children. School children were using an APP called Periscope, which allows users to broadcast live from anywhere- including classrooms. Viewers send in questions and comments- some of which are not so innocent. It’s important to have conversations with your child (even if they don’t have a cell phone) about navigating safely online, the intentions of phone usage, the responsibility that comes with having a smartphones (some are legal ramifications), phone etiquette, what cyberbullying is and how to get help if it happens to them. I’m not going to dabble in the debate as to when children should have a smartphone as that really is a personal parenting decision. No one wants to be judged as a parent for buying their kid a phone, just as much as they don’t want to be judged for waiting to give them one. Regardless, this is an issue that impacts us all. Our newsfeed is lined with stories of kids being cyber bullied and examples of how that spills over into the hallways of our school campuses involving suicides as young as 12. 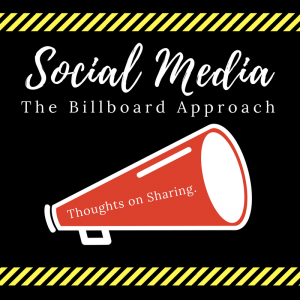 The pressure to respond to texts, monitor email, scroll through social media platforms, impress and gain acceptance with a “like” is real. How does that impact your work day, let alone your child’s day at school? Why do kids even need to have their phones on them at school? What if, similar to when you visit the Senate Gallery at the U.S. Capitol, students had to check in their phones in the office or with their teacher at the beginning of the day? When an article about just that was posted by someone on a local Facebook community group that I follow, I was surprised to read two comments by teachers in middle school. The article stated, “In a survey conducted in 2001, no school banned mobiles. By 2007, this had risen to 50%, and by 2012 some 98% of schools either did not allow phones on school premises or required them to be handed in at the beginning of the day.” (Doward, 2015) One teacher replied, “Schools have so much more to worry about than policing your child’s cell phone usage. Sorry but, no.” Another teacher chimed in, “And then when one goes missing or ends up dropped with a cracked screen, who is responsible? Sorry but I’m not going to take a kids phone from them and end up liable for damage.” I’m not sure worrying about who is liable for a broken or missing phone should be our first concern. As a parent, who values my partnership with every single one of my children’s teachers, I’m more concerned about unnecessary distractions in addition to what parties are held liable for when students use their smartphones during school and take inappropriate photos or videos of other students and not only share them, but post them online. English teacher Steve Gardiner shared, “After 38 years of teaching, this seems to be the most distracting thing I have seen.” (Gardiner, 2016) He goes on to state that, “In much of the same way a chemical dependency controls an addicts life, my students’ cellphones control their lives.” What does it say for kids who already get upset with the idea of having their phone usage restricted or told to put their phone away in class? “We found that the impact of banning phones for these students was the equivalent to an additional hour a week in school or to increasing the school year by five days.” (Kottasova, 2015) As Districts struggle to fit more class time into the calendar year to better prepare our children for the future, perhaps looking at making technology work for us, means also knowing when it is not working for our benefit. 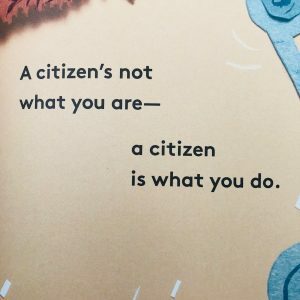 This isn’t about a BAN, but rather adults modeling behaviors as Digital Mentors to help children navigate technology and the behaviors it enables. While we embrace technology and find ways to connect to our children about it, we have no plans of purchasing a smart phone for our children any time soon. While no age suits all children, we’ve been open and upfront to our children about needs verses wants. To someone who commented to me earlier, “Sometimes phones are useful in class because kids can research on them.” —Do they not have computers to do that? That’s how we research at home… What’s your school District Cell Phone Usage Policy? For the record, my now Middle Schooler, without a doubt assured me that this will not be a popular post and to expect a lot of upset comments. For more tips, thoughts and speaking opportunities look for future posts related to this topic or reach out to me directly. The day after my sons promotion to middle school I received a reminder that not every child has access to an education. Many of those that aren’t in school are girls. I read something back in college in one of my core classes about how if you educate a girl, you in turn educate a family. By educating a girl, you often break the cycle of poverty. By educating a girl, you lift her up to opportunities. From my husband who encouraged me to finish my degree (backing me by supporting me emotionally, academically and financially) as a new mother. The endless homework, meeting for group projects and commuting to campus meant a lot of time away from him and the kids. He balanced a full time job and two boys never once making me feel guilty, but only a proud partner. He also fully supports my choice to work inside or out of our home. My male college professor and mentor who reminded me and encouraged me to make use of the talents I have. He embraced the “different” ways I approached projects and celebrated my achievements. He nudged me to find my voice again not only for myself but others. In addition to a few male friends, a theatre director and dance teacher- again, all males, that had such a strong belief in me and my abilities in addition to sticking up for me at times. To this day, I know they played a big part in who I am. I wish there were more women I could recall stories of support and encouragement from. As a mother who is rearing two boys, I know the important task I have at hand. I cannot merely rear my boys by enrolling them in good schools and give them access to experiences that shape them. I must also rear them to identify when their female counter parts may need someone to be their advocate, remind them of their worth after this society tries to knock them down and help them find their footing at the table. While leaning in is great, far too many women aren’t even in the position to lean-in. Nor do they have the education, financial security and privilege to do so. That’s where education and our boys that grow up to be men come into play. The leaders of the world’s 20 biggest economies are about to meet. On the agenda: the 130 million girls not in school. Speak up and add your name to tell our leaders that this is not acceptable.